Photo Album of St Therese Parish, Padstow. The Foundation Stone for St Therese Parish was laid on 10 July, 1960. Padstow was made a separate parish from St Luke' s Revesby in 1962 after Fr Patrick Carr had secured the land for the Parish building and built the original school and Church, with the voluntary help of parishioners. The First Parish Priest appointed solely to St Therese, was Father J. O'Carroll. The first Baptism was on 16 July 1961, first Marriage on 10 November 1962, first Funeral on 24 October 1963. The Sisters of St Joseph opened the school in 1964 to relieve the very large enrolment numbers at Revesby. The sisters lived at the convent at Panania and travelled to Padstow by car each day. The sisters of St Joseph withdrew from Padstow and the first Lay Principal was appointed at the beginning of 1979. 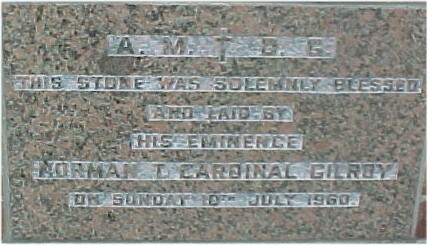 The first Confirmation was performed by Cardinal Freeman, who was then Auxillary Bishop of Sydney. This occurred on 2 May 1965. 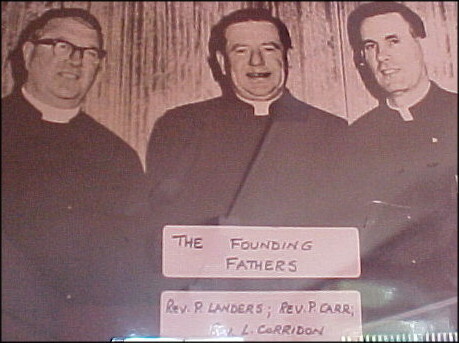 Father O'Carroll, was followed by Father Kelly, then the long term Parish Priest Father Larry Corridon arrived in August 1966. 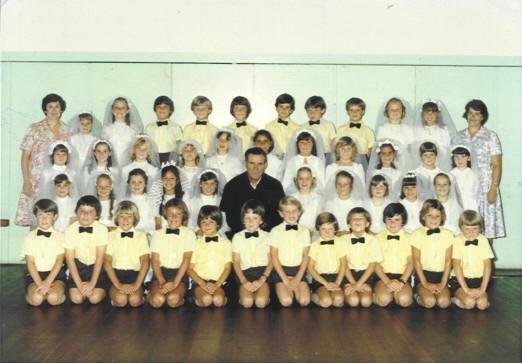 Fr Corridon pictured with 1979 Communion Class. Top Right is the Teacher: Mrs McGrath. 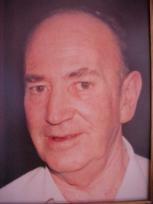 Father Corridon retired to Ireland in August 1992, and Father Bell was present for several months. In November 1992, Father Stephen De Bono arrived as Administrator of the Parish. 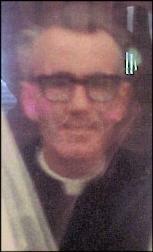 He was officially appointed Parish Priest on 10 June 1995.